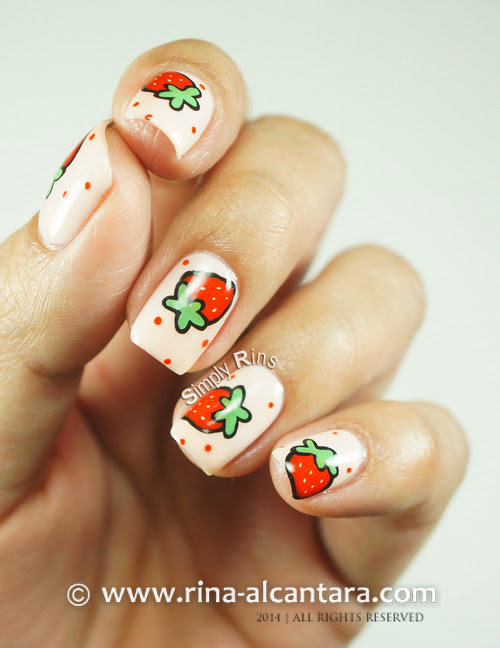 The Strawberry nail art is probably one of the favorites in the nail art community. There has been a lot of recreations over the years. It's easy to do and really looks attractive on the nails. It was actually one of the designs I first did when I was still starting as a nail art blogger. But as we develop our skills as a nail artist, we also develop our personal style and we find ways to put twists into existing nail designs. 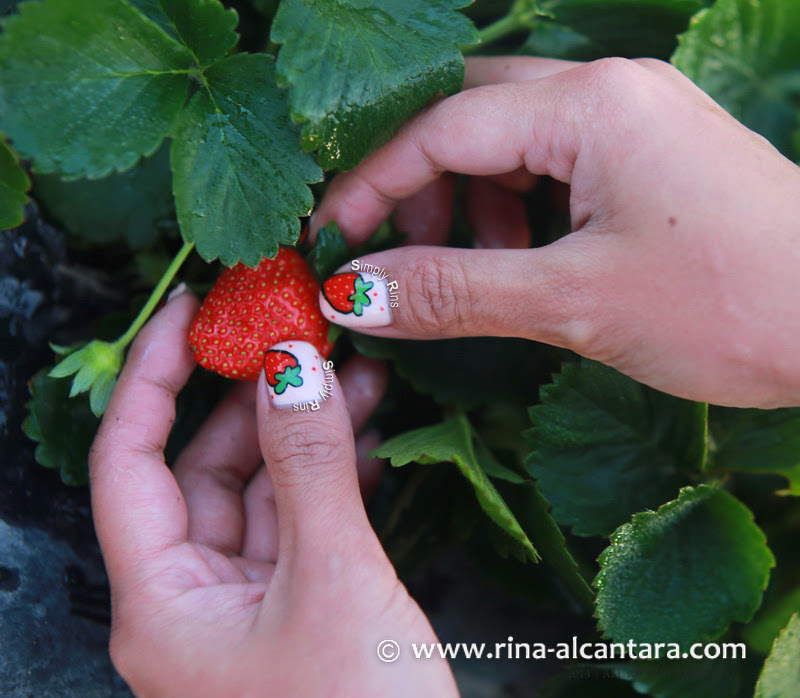 This is a challenge I welcomed as I recreated the famous Strawberry nail art once again. Instead of using the entire nail bed for painting the Strawberries, I decided to draw whole Strawberries, randomly placed on all the nails. It was harder to pull off, but I really liked the results and found it worth the effort. I was thinking of using white as background. I ended using Revlon Natural Pink instead. I used 3 thin coats for full coverage. Topped with Seche Vite to seal the design. No regrets on the base color. I think it was a great alternative to white. The design was done freehand using acrylic paints and a detailing nail art brush. So why did I recreate this popular nail art? 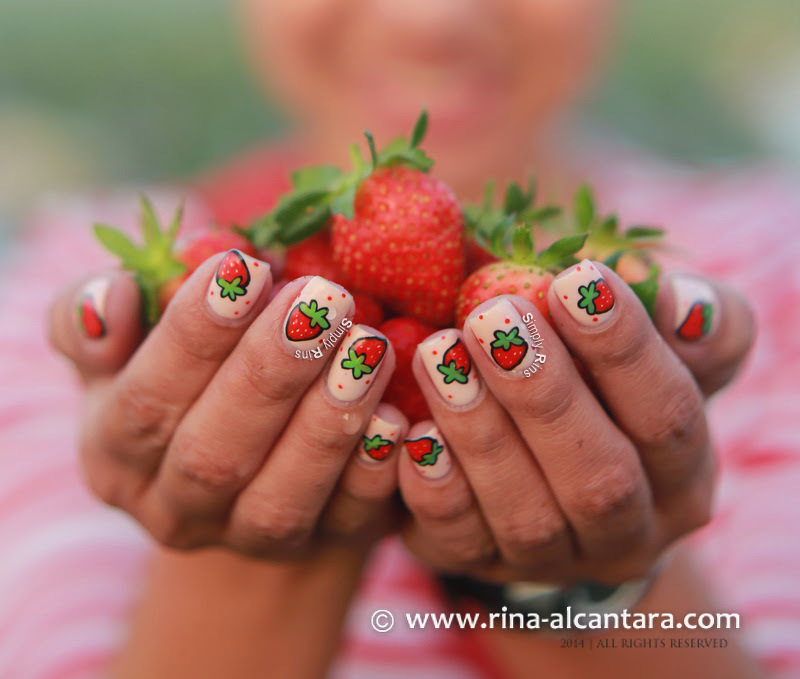 Well, I recently joined the Baguio Bloggers' Food Tour last weekend and a Strawberry nail art was in order. Baguio is known as the summer capital of the Philippines because of it's cool climate. It is called the City of Pines and ... Strawberries! The last time I was in Baguio, I wore a Pines Tree Nail Art. This time, I thought of painting Strawberries since I was joining a food tour! My first attempt was without an outline. But I wasn't satisfied with the look so I erased it and decided that an outline will make the fruit pop on the nails. And it did! If you have seen my Heart Patches Nail Art Tutorial, I applied the exact technique for my Strawberry nails. There's an irony I would like to share with you. I am not fond of eating Strawberries. Well, until recently when I got to chance to harvest them myself and tasted them. It was so fresh and delicious. 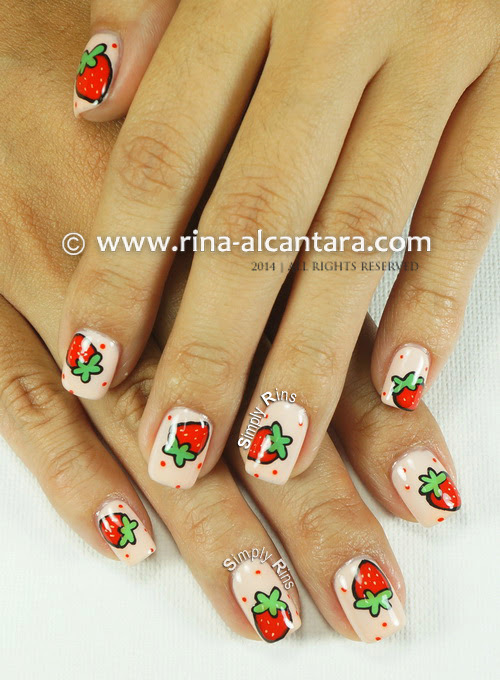 Yes, I picked Strawberries wearing a Strawberry nail art. How cool is that? 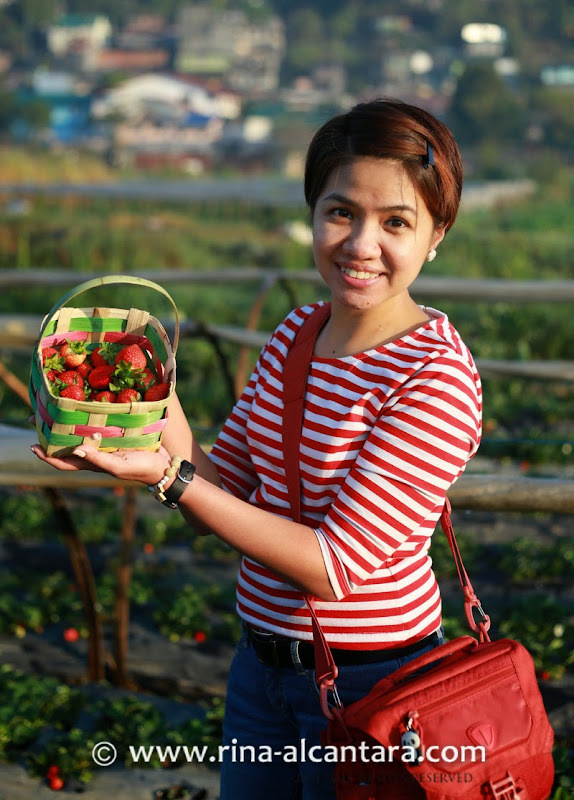 Just a little farther from Baguio City is a Strawberry farm. A few of us paid a visit and grabbed the chance to harvest Strawberries on our own! The Strawberries cost more compared to buying them in the market. But the experience is priceless. I was picky while picking the Strawberries. I wanted to get the good ones with a nice shape and color. That's one good thing about harvesting your own Strawberries. You get to choose which ones you like. And of course, you are guaranteed that it is absolutely fresh! I'm thankful that we got there very early in the morning. It would have been more difficult to harvest when the sun is already high. I didn't get to fill my basket. But I had enough to bring home to my family and I could totally say to them that I hand-picked them myself! Talk about labor of love, right? Let me end this with a photo of myself holding my loot! What do you think? 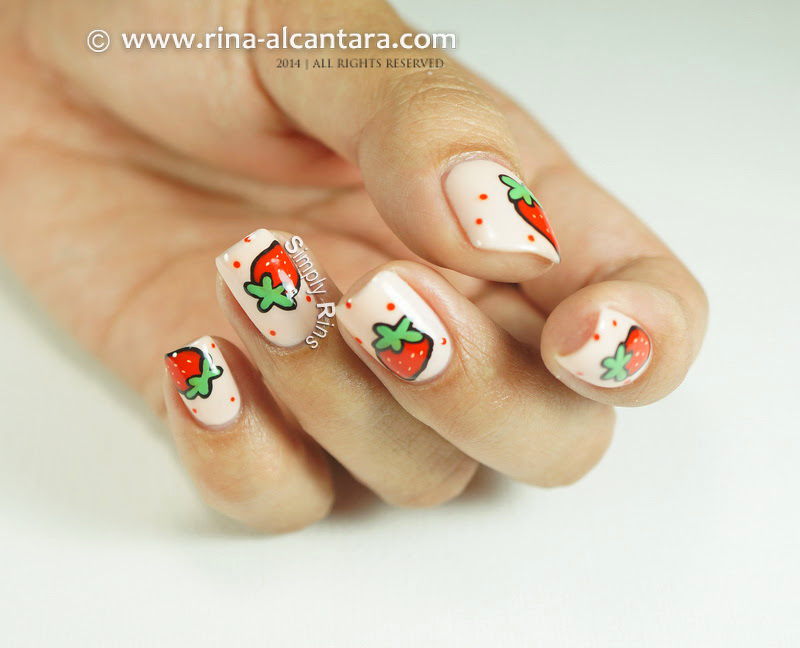 Have you done Strawberry nails? 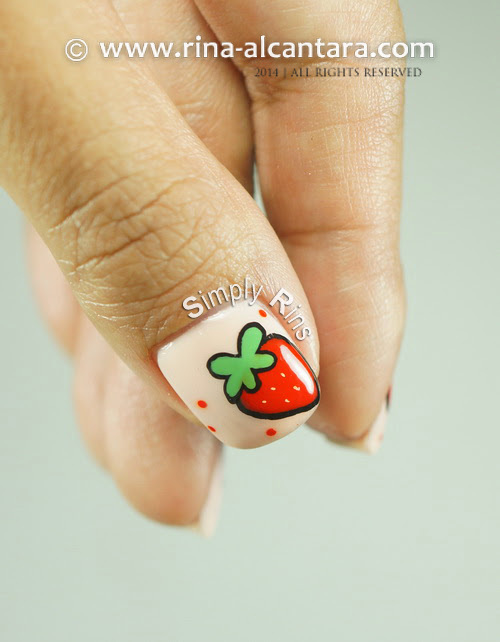 First few of my nail art is a strawberry. But I didn't do it myself. Come to think of it, i don'y think I ever did a strawberry nails on me. That is super cute! What wonderful images ! I agree the you-pick experience is worth it! We have a prairie cherry farm in the small town I live near. Autumn is BLISS. Very sweet (pun intended). 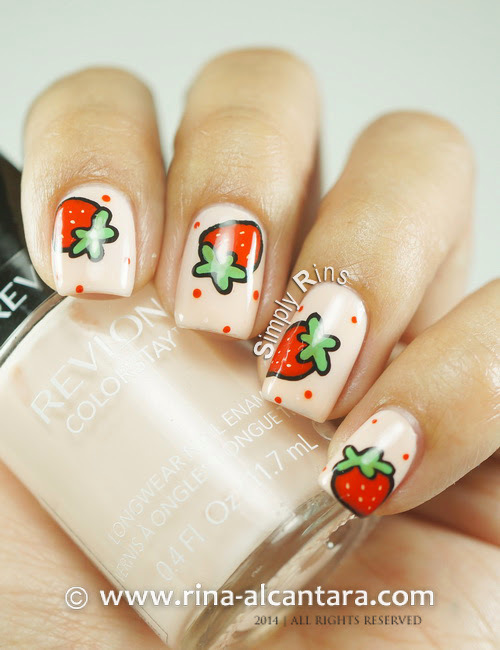 ;) I have always loved the look of strawberry nail art, and this one is my favourite!